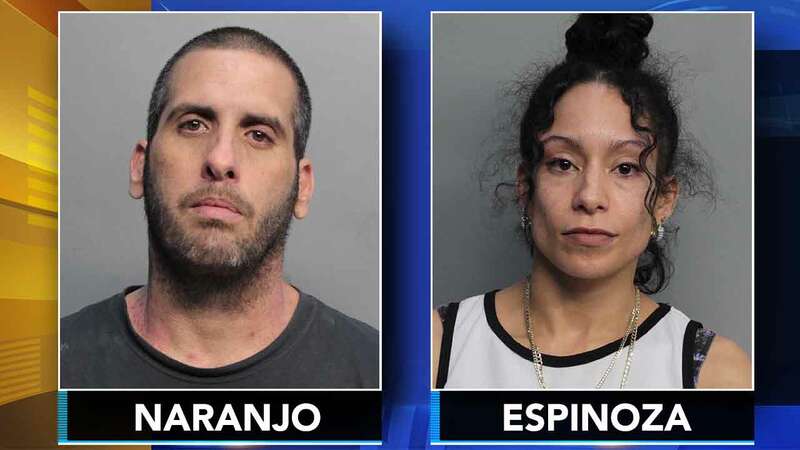 HIALEAH, Fla. -- A student's backpack that smelled like marijuana led police in Florida to his house, where they found a small grow house run by his parents. Now, 41-year-old Rolando Naranjo and 33-year-old Betsy Espinoza are in jail, charged with multiple drug and child neglect charges. The Miami Herald reports a Palm Springs Middle School teacher noticed the smell of marijuana coming from the 11-year-old boy's backpack. He notified a Miami-Dade Schools police officer. A police report says the boy told officers there are marijuana plants in his house and his dad uses his backpack to transport the drug. He also said people go to his house to buy marijuana. Police got a search warrant. Hialeah Sgt. Carl Zogby called conditions at the home "deplorable." Jail records don't list attorneys for the parents.